Finding answers for companies is what systeMacs is all about. Here are some common questions we hear, answered by our founder, Ken Easterby. Have a question of your own? Send it our way. When my Internet goes down, how do I know if the problem is at my end or at my ISP's end? If you have all brand new networking equipment (i.e. modem, router), then it’s a good assumption that the problem is not on your end. However, your house or office may suffer from temporary voltage outages that affect your broadband connection by necessitating it to be reset (powered off/on), or by damaging your equipment, even if it’s brand new. Sometimes, replacing old equipment is cheaper than trying to deal with the big broadband providers that are eager to point to the problem on your end. Hours of frustration on the phone with “support” from somewhere outside the U.S., or frequent visits by technicians that may or may not be interested in helping you thoroughly - can be eliminated by a simple process of elimination. systeMacs brings replacement equipment for all scenarios you may have in your house or office. We replace with "loaner" equipment that attempts to solve Internet outages and reduce them to their absolute minimum. My computer seems to be sluggish. What could be the cause? If you have not upgraded your operating system since purchasing your computer, locate the installation CD that came with it and put it in your disk drive. Restart your computer holding down the "C" key. After choosing your language, go to the "utility" menu item and choose “disk utility”. Choose your hard drive from the list on the left and press "repair disk". Once done, choose "Repair Disk Permissions". Then from the "utility" menu item, choose “Startup Disk” and select your hard drive to restart normally. Although you have the Disk Utility as an application on your hard drive, it is better to try to repair your hard drive when it is not in the startup drive. Check the memory and hard drive space available. After restarting your computer, go to the apple in the upper-left corner and choose "about this mac". Here you will see processor and memory. Your processor should say something with "intel" in it. If not, your computer is older and will not be able to do as much as a newer computer with an intel processor in it. Your memory should be minimum 2 GB, optimally 4 GB, but 8 GB to give you room to grow. For your hard drive, open up any window and on the left sidebar you should see at the top of your list a grey icon indicating your hard drive. It may say Macintosh HD. Single click on this icon and from the "File" menu item choose “Get Info”. Look for the capacity available. You should have a minimum of 10%. For instance, if your hard drive capacity is 100 GB you should have at least 10 GB available. These are very basic starting points to help speed up your system or identify areas that need more resources or attention. systeMacs can help determine the best course of action based on your computer's age, resources available, costs, etc. What about my other toys? systeMacs isn’t only about computing. We’re about music and entertainment, too. We can help set up a home entertainment system with multi-streaming iTunes and Apple TV. 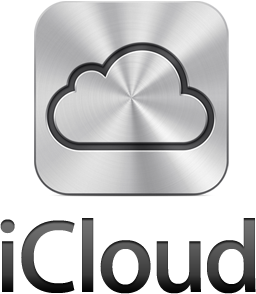 As a user of the MobileMe services, I had questions after learning that MobileMe will be discontinued and the new iCloud service will take it's place. Although there are details that Apple has not released yet, the bottom line is that whenever transitioning from one service to another - it should be done in a planned fashion. 4. Call systeMacs if something goes wrong. Rest assured by the time you need to transition your MobileMe account I will have already done so a few times and know more about the pitfalls and a reality check - so don't hesitate to contact me.